The compilation of writers and their notes to themselves in their younger years (from the perspective of older, wiser, is very enjoyable to read. I didn't read every letter or comic from each writer, instead I chose to read YA authors I have read. From 64 authors and illustrators,like Julie Ann Peters, Jacquelyn Woodson, David Levithan, Brian Selznick, Malinda Lo, Bruce Coville, Brent Hartinger, Nick Burd, and I especially liked Linda Villarosa's 1968 note to self, and her 1979 revelation to her parents. 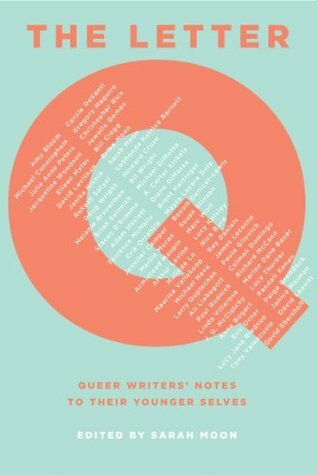 This book will make you laugh, cry, and truly appreciate the hopeful rousing understanding the older selves of queer writers wish they had known when they were younger. Sign into Goodreads to see if any of your friends have read The Letter Q.